The Mass Chapel, the only boneless room in the crypt, is a room where Mass used to be celebrated. See all Cappucine Crypt photos. 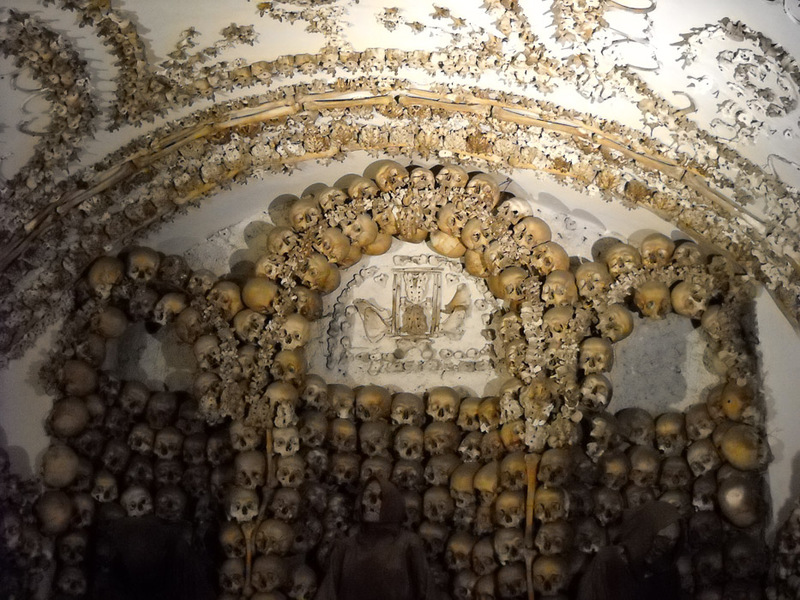 Totally macabre, but fascinating nevertheless, the Cappucine Crypt is probably worth a half-hour of your time. The admission fee includes a tour through their museum before you reach the crypt. Being not particularly interested in the history of the Cappucine order, I walked straight through the museum to the crypt. 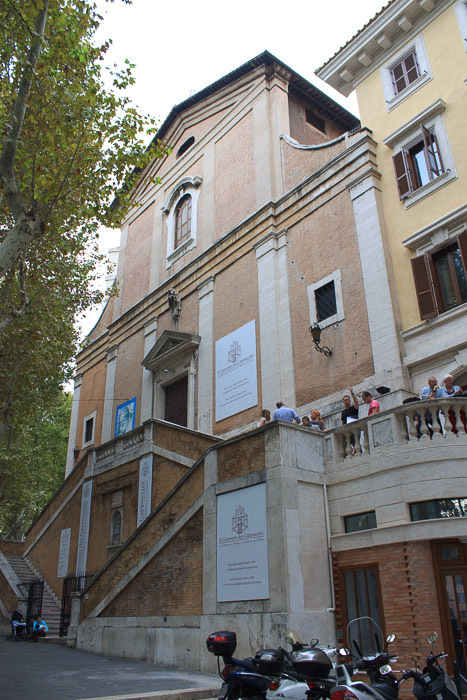 For another chamber decorated with bones, try Santa Maria dell'Orazione e Morte.